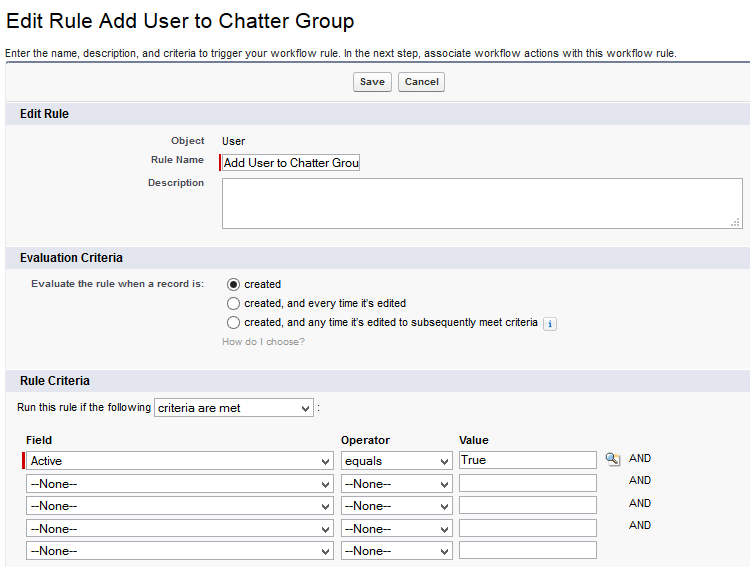 Chatter is a powerful Collaboration tool for your organization, for both internal users and partners. Each user has a visible profile page containing his Chatter wall as well as information about the user, including an Image. The first thing to do in Chatter is uploading a profile picture to help your colleagues put a face to a name. 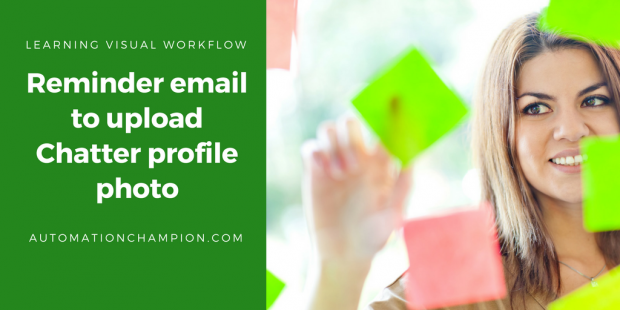 In Salesforce I have never found Out of the box solution to send a reminder email to users to upload Chatter profile photo. In this article, we will develop an app by using Flow. People in Universal Container are using Chatter for internal collaboration. Management in Universal Container wants to develop an application, so it will automatically send an email notification (Once in a week) to users who don’t have a Chatter profile photo. 9) Save the flow with name Send reminder email and close the canvas. 8) Add one Immediate Workflow Actions i.e. New Field Update and Set Start to False, so it will queue the record for the next time. Note :- I will suggest you to Implement this first on your developer org test it and then move it to Production.